Amazon CamperForce is looking to hire hundreds of Workampers starting fall - December! Come join us during Amazon's holiday season - delivering gifts to our customers, in a fast paced and friendly work environment! You could help in any warehouse task, such as Receiving, Stowing and Shipping items. We offer complimentary sites with full hookups, wages, and other benefits! We are hiring at our distribution centers in Campbellsville, KY; Murfreesboro, TN. The LCRA is looking for Park Hosts in Texas! Park hosts help the Lower Colorado River Authority maintain parks and serve as onsite representatives to park guests. Hosts often provide visitors with their first impressions of LCRA parks, offering excellent customer service and promoting safe use of park facilities. Ready for an adventure?! Go where you want when you want! Earn extra income while you travel! Since 1986, Southeast Publications has been a family-owned marketing company and is the industry leader in providing Guest Guides, digital marketing and web design for RV resorts and campgrounds. The Southeast Publications Sales Associate Team is the most experienced and highest paid in the industry. Our Corporate Training is second-to-none and is dedicated to your success. AGS, the industry leader in providing Guest Services Guides, is entering its 30th year and we are looking for Fulltime RV couples as we venture into our next 30 years. Working for AGS allows you to earn a living and travel. You are not tied down to one campground for a whole season. When traveling from one assignment to another, there is time to stop along the travel route and see the things that make this country great. Our locally owned businesses are situated in the heart of the Black Hills near the area’s most popular attractions, including Mt. Rushmore and Custer State Park. This region of South Dakota boasts a wealth of opportunities for adventure, including hiking and biking on the historic Mickelson Trail, wildlife viewing, cave explorations and much more. The Grand Canyon Conservancy offers excellent employment opportunities that allow our staff to work among some of the world’s most beautiful scenery and come in contact with travelers from all over the world. Blair Hotels in Cody is located 52 miles from Yellowstone National Park. The scenery is spectacular, the people are friendly, and if you are looking for an adventure this is the place for you! Previous hospitality/hotel experience is a plus! All Workampers encouraged to apply. RV camp is a comfortable walking distance from all job sights. Positions available in housekeeping and laundry, food services, retail/gift shop clerks, and front desk/reservations clerks. Full-time positions from May to early October are standard. Adventureland is an outdoor amusement facility covering 200-plus acres, featuring Adventurland Park, Inn and Campground. Opens in late April with weekend-only operations; mid-May to late August is full-time, daily operations. The season finishes with weekend-only operations through the end of September. Positions available in Rides Operations, Retail Operations, Food Service Operations and Games Operations. Pay for all hours worked. Join us for exciting, remote, fun filled adventures in living and working at North Lake Powell Utah in Ticaboo and Offshore Marina! Ticaboo is a special place to work, live and play, just as it is a special place for our guests. Located 10 miles north of Lake Powell, Glen Canyon Recreation Area, Utah, Ticaboo Resort and Offshore Marina are surrounded by stunning red rock canyons and the Henry Mountains. 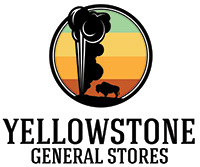 Delaware North at Yellowstone offers summer employment opportunities in our 12 general stores and in West Yellowstone Hotels. The stores offer our guests a full array of gifts, apparel, groceries, sundries, fishing and camping supplies, jewelry, photo products, digital printing, as well as food service. Positions in the stores include Cashier, Stocker, Custodian, Warehouse Associate, Employee Dining Room Cook, Cash Room Associate, and more. 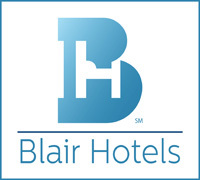 Hotel positions include front desk clerk, housekeeping, server, kitchen help, and more. RV sites are nearby. Pay for all hours worked. Volunteer Opportunities & Park Attendant Contracts about with the US Army Corps of Engineers! Volunteering is a great way for beginning Workampers to "test the waters" and for experienced Workampers to have more flexibility than paid positions require. Volunteers serve without pay, but are often provided a free RV campsite with hookups. USACE utilizes independent contractors to perform much of the day-to-day operation and maintenance of their more than 4,000 parks. Volunteers are welcome at many locations in the National Wildlife Refuge System, Fisheries, Ecological Services, and other Fish and Wildlife Service offices. Some work full-time, some a few hours per week or month, or during a particular season or special event. Bowlin Travel Centers Inc. has ten travel centers and five Dairy Queens in the beautiful Southwestern states of Arizona and New Mexico. Full-time and part-time positions available as Manager-In-Training; Clerks/Customer Service/Sales; and Maintenance/Custodial positions. Pay for all hours worked and many more benefits! Historical sites, hiking, water and snow skiing, fishing, sightseeing, local, state and national sights and parks within easy driving distance from our locations. The National Park Service (NPS) manages 388 sites covering more than 83 million acres, for the enjoyment, education and inspiration of this and future generations. The Volunteers-In-Parks Program (VIP) provides a vehicle through which the NPS can accept and utilize voluntary help and services from the public. Volunteer opportunities include camp hosting, interpretation, visitor center hosting, research, administration, maintenance, etc. Volunteers are the heartbeat of the Forest Service. The types of work a volunteer can perform are many and varied. You may work on a part-time or full-time basis. You can participate in a one-time project or serve over several months, seasons or year-round. The Bureau of Land Management (BLM), an agency within the U.S. Department of the Interior, administers 261 million surface acres of America's public lands - located primarily in 12 western states. More than 17,000 volunteers support the work of the BLM each year, from conducting field work in remote locations to serving as camphosts at the BLM's many recreation sites. Looking for a great Alaskan adventure? Join us in Skagway, Alaska for our next summer season! We are a quickly growing adventure tour company and we strive to provide the very best excursions possible to our guests. We have a variety of positions to fill and are looking for new team members!